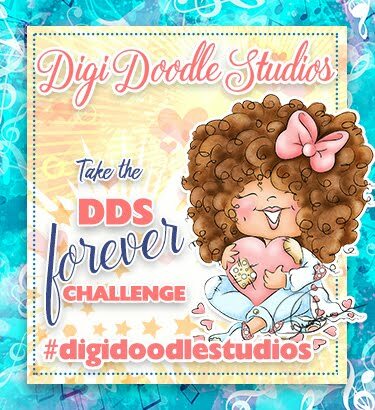 #digidoodlestudios - Take the Challenge! COPIC CERTIFIED - MARCH 2012! 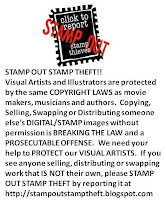 REPORT STAMP THEFT, IT'S ILLEGAL!! CHECK OUT THESE FABULOUS CHALLENGES!! Happy Saturday to everyone! Hope you had a wonderful week and are enjoying the start of your weekend. We have a NEW CHALLENGE for you over at DI’S DIGI DESIGNS Challenge and it is ALL ABOUT LOVE. Di has tons of images that will fit this challenge perfectly. 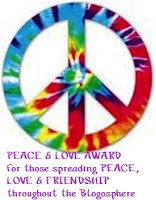 You have until 10pm EST on Friday, February 22 to come join the fun. Remember, you don’t need to use an image from DI'S DIGI STAMPS Shop to play along, but if you do, you have a chance to win 2 images from DI'S DIGI STAMPS in addition to a chance at the random prize. You may also use a CandiBean rubber or clear stamp to have an extra chance to win the 2 Di's Digi Stamp images!! 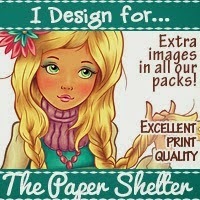 I hope you will check out DI'S DIGI STAMPS – the website is AWESOME – a new format, new images and new sales! 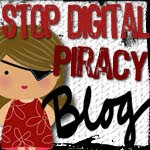 Di has so many wonderful images, many that would be perfect for our challenge, so remember to visit DI'S DIGI STAMPS for all your digital images. I used this adorable image “Can I Ski Too” from DI’S DIGI STAMPS. This image is colored with Copics and and Atyou Spicas and cut out with my Cameo. I then added Stickles to various parts of the image. I chose papers from Recollections and First Edition and dies from my stash. 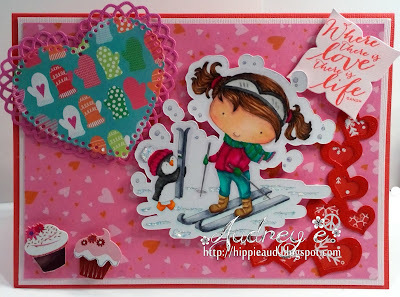 I chose a stamp from Verve cut out with Sizzix die. I added sticker cupcakes from Recollections. 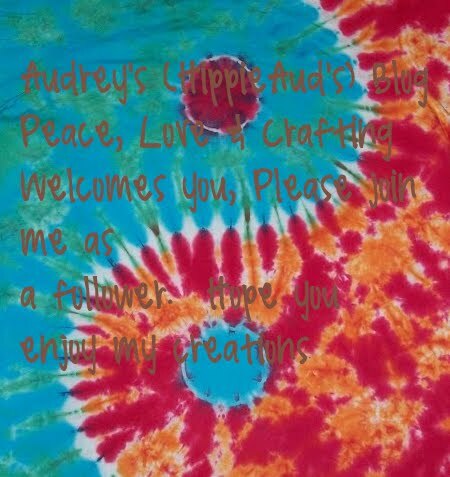 Sure hope you like it and will come play along at DI’S DIGI DESIGNS Challenge! 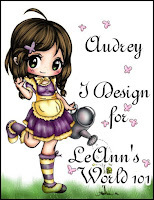 Aud this is so adorable. Love your hearts and cupcakes. Nice bright colors as usual which is so you. Have a great weekend. How cute!! Love how you cut around your image; super fun! And your papers are just perfect!